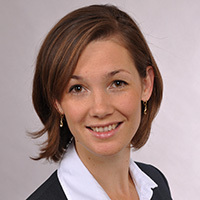 Anja Thomas is Global Sustainability Manager at the BASF Division for Dispersions & Pigments and responsible for the BASF Biomass Balance Approach. Anja studied Biomedical Chemistry at the University of Mainz and graduated with a PhD in the area of macromolecular chemistry. In previous positions, Anja worked as a research scientist focusing on polymers for performance and paper chemicals at BASF. Even though the proportion of the adhesive in the final product is rather low, its role as an enabler for sustainable solutions is beyond doubt in various industries. However, BASF is also increasingly confronted with the request for sustainable, renewable adhesive raw materials. Creating adhesives based on renewable raw materials while maintaining the same performance can be quite a challenge. BASF’s Biomass Balance Approach combines the use of sustainable, renewable feedstock with a highly efficient and well-established production chain, while maintaining the original performance. In this concept, sustainably certified renewable raw materials are used as feedstock in the existing production network of BASF at the very beginning of our production chain. Similar to the concept for green electricity, the biomass share is attributed to the respective product. This attribution is based on a certification method developed together with the German Technical Supervisory Association TÜV SÜD and is regularly audited by this certification body. This approach allows BASF to offer products with the same properties and high quality as their fossil analogues, with a certification on fossil resource savings and reduced greenhouse gas emissions.